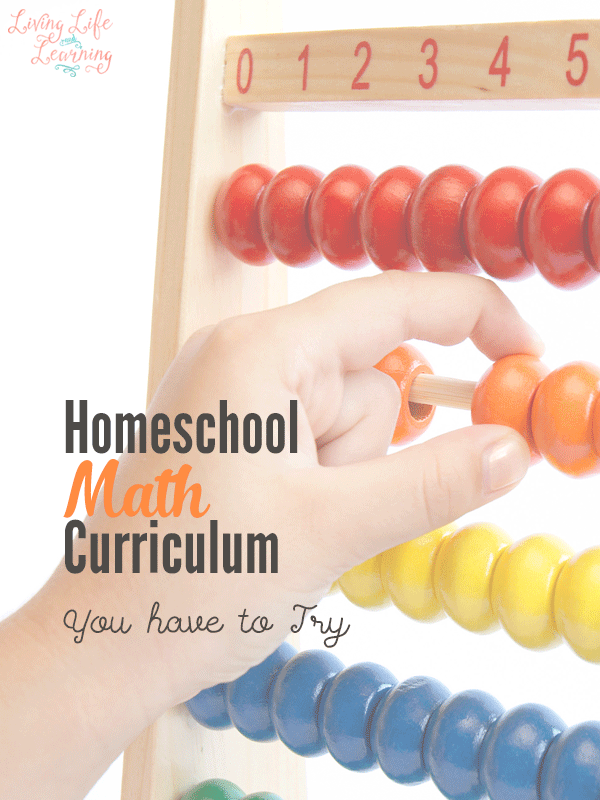 What is the best homeschool math curriculum for your child? Do you need a mastery or spiral math method? What is the best way your child learns? Mastery programs focus on one topic at a time until it is mastered and then move onto the next subject. Spiral programs will teach something new everyday or every couple of days and continue to review all the material throughout the year. It’s difficult to determine which one your child will prefer unless you give it a try. What kind of learner is your child? If your child is a kinesthetic learner then you should choose a program that uses a lot of manipulatives. If you have a visual learner, choose a program that illustrates the concepts they are teaching, manipulatives will also help the visual learner as well. There are numerous math curricula on the market, the hard part is sifting through all the samples to determine the best math program for your child. The hard thing is that even if you think it is the best curriculum, your child may not like it and you may end up having to use something else. It’s difficult to determine what your child will like beforehand but you can try some of the samples found online to gauge whether they like it or not. There are some things that may bother child that you didn’t consider beforehand. Some children get overwhelmed at the number of problems on a page and shut down. If there is very little white space, the cluttered page may seem like there are more problems than they can do. This curriculum is based off of the Singapore method of math, it’s a very visual method of teaching math which I really like. There are two sets of books for each grade level. So for first grade, you would have level 1A and 1B, there’s a teacher’s manual that you can use to help teach the concepts behind the math. Each level comes with a textbook with lots of visuals to teach your child, this is used to introduce the new concept and there are some practice questions. The student uses the workbook to answer their own questions. The teacher’s manual dictates which lessons and workbook exercise you should do. They teach using a mastery approach where you study one topic before moving onto another. The Saxon math K to grade 3 program differs from the older grades, there’s a manipulative set that goes along with the morning meeting book, teacher’s manual, workbook and flashcards. The workbook has worksheets that are double sided and are meant to be used in one day if my child got the lesson and answered them correctly, I didn’t bother with the second side. If you’re are counting and you’re teaching your child colors and shapes, I think you can start K with the grade 1 book just fine. The meeting book includes patterns, dates, time and money problems. The teacher’s manual has everything you need to teach your child including a script to use with your child, I never used it.but it was nice to have especially when you’re first starting out. I used Saxon with my oldest and it went well until we got to the older levels. Each lesson builds on a previous lesson so there is an assortment of questions to be completed on the worksheet. The upper levels of Saxon math use a textbook format with the teaching portion and questions in one book. Each page has about 30 questions. Because of this textbook style, once your child hits 4th grade they would be required to write out all of the questions on their own. This was a big adjustment for my son who didn’t like to write very much at that age. The curriculum goes all the way up to high school level which is nice if you want to stick to the same program to the end. It teaches in a spiral method where you build on the previous lesson and it keeps reviewing older material so there are a variety of questions. Is a mastery program that concentrates on one topic for the entire year, ie addition, multiplication… It is manipulative focused and I love the way the teacher, Steven Demme teaches via video. You can have the student watch with you as you learn the best way to teach your child the new concept. It’s a very hand-on program and it can get repetitive if you do all the worksheets in each section. If your child gets it, don’t be afraid to move on. Life of Fred teaches math in a story format with short questions at the end of each chapter. Unless you use all of the books, I don’t see the lower levels as a complete program because my kids need more practice. This differs from the upper year levels that can stand alone. The storyline from fractions to pre-algebra centers around a 5-year-old boy named Fred and the storyline is very fun and quirky which appeals to my son. Which every program you decide to go with, it has to work for your family and it’s ok to take some time to figure things out first, how teacher intensive is it, can you use it for multiple children? What works for one child may not work for another. Head on over to another homeschool mom’s house to check out their curriculum so you can see it in person and try to head out to a homeschool conference where you can visit with the vendors. Read the other post in my series – Ultimate List of Homeschooling Questions.